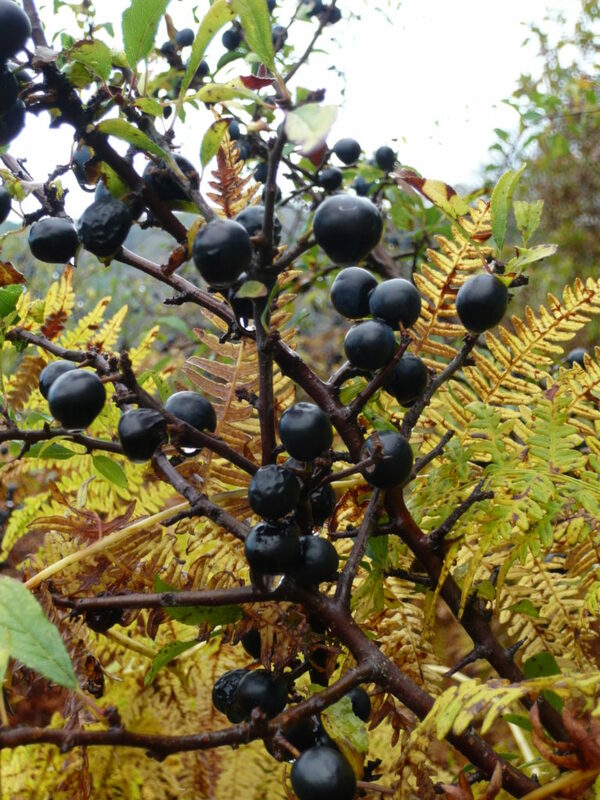 Medicinal herbs, ancient and modern the basis of many drugs and remedies. Vegetable herbs like onions and garlic. Spices and other plants at home in a herb bed. Umbels are far from humble when grown well. 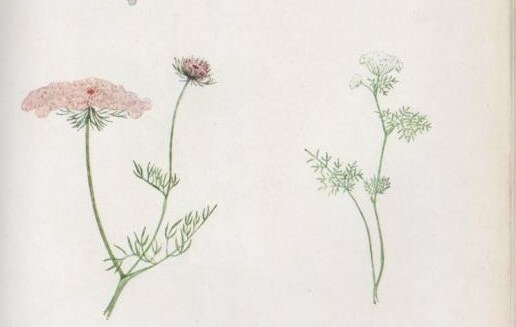 When grown badly like Hemlock they are poisonous, even fatal but many species such as carrots, parsnips and fennel are edible or even medicinal. Umbels flower in a parasol shape with short stalks of equal length rising from a common point opening to a flat or rounded spray. Fatsia japonica has a globular umbel reminiscent of a golf ball. 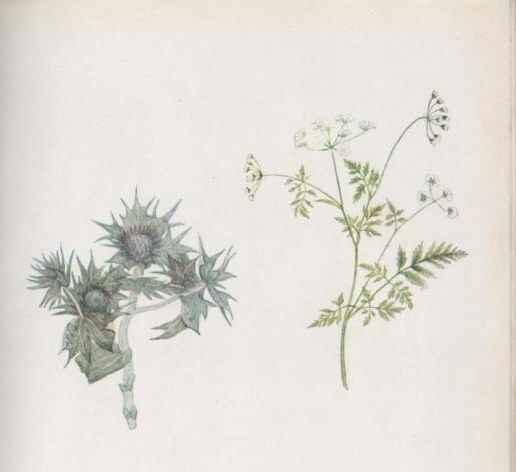 Umbellifers are mostly aromatic flowering plants of the genus Apium such as the celery, carrot or parsley family. 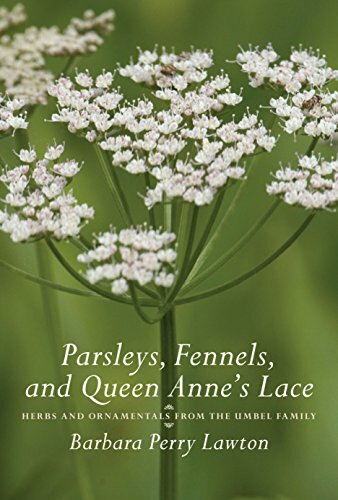 The first ‘Herbal’ describing umbels was credited in a ‘History of Plants’ believed to be written circa 300 BC. 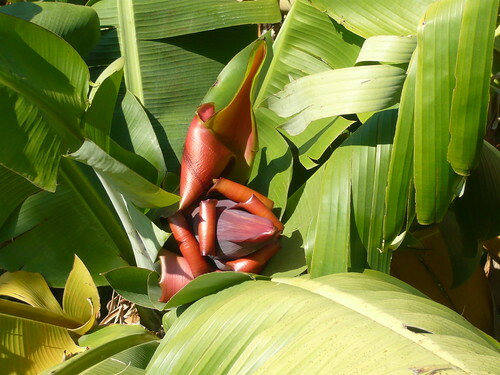 Traditionally many umbelifereous plants have been used in herbal medicine. Angelica, Wild Celery, Caraway, Coriander, Anise, Cow Parsnip and other plants are used for treatments and a range of medicinal claims, toothpaste, tisanes and poultices. The ferny foliage of umbelliferous plants looks attractive when combined in borders with more robust foliage even before the flowerheads are taken into account. See through backdrops and feathery borders can be included in your own bespoke garden design. I grow Angelica in my border and it is a robust plant that survives our northern climate. Many gardeners already grow Astrantia and Burpleurum a couple of other umbels without thinking of them as part of the carrot group. Pennyworts or Hydrocotyle are useful in water gardens and the harder to find Oxypolis is used in wet land. 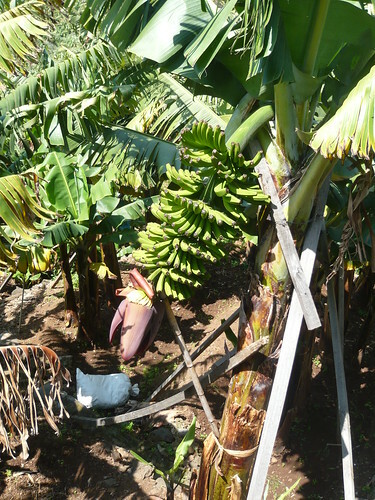 I have just finished eating a Fyffes banana grown in Costa Rica. They were certified by the Rainforest Alliance and were sold as ‘Ripe, snack size bananas’ and a very appropriate name it was. In our fruit bowl we also have ‘organic Fairtrade bananas fro the Dominican Republic cutesy of the EEC at least until brexit by which time they will be well overripe. This encouraged me to dig out an old post with photos from Kew in 2010. I was in the middle of a series of posts on fruit trees from exotic climes and realise that the Banana didn’t quite fit. 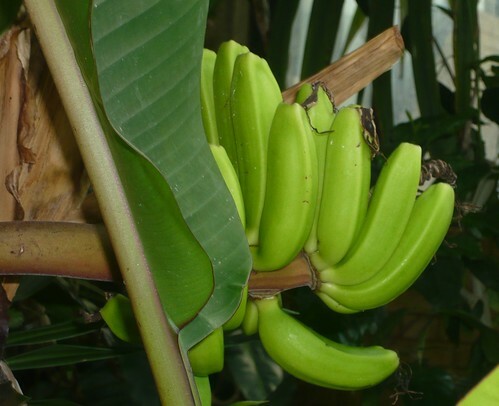 Bananas are herbs and do not grow on trees. The stem, can grow quite tall in some species and is really just matted together leaves. 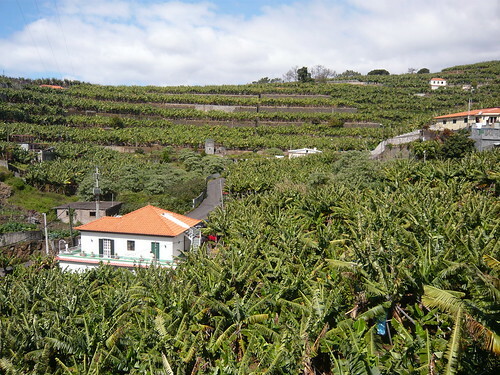 Therefore I offered some of my photographs to show different varieties of Banana growing in Kew hot house and Madeira. Read these articles for more information. 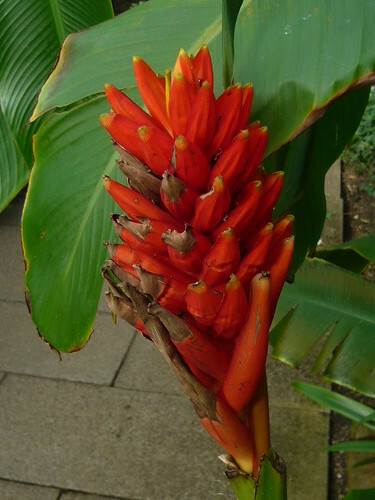 Wiki as usual has an authoritative list of Bananas and an explanation of their classification. 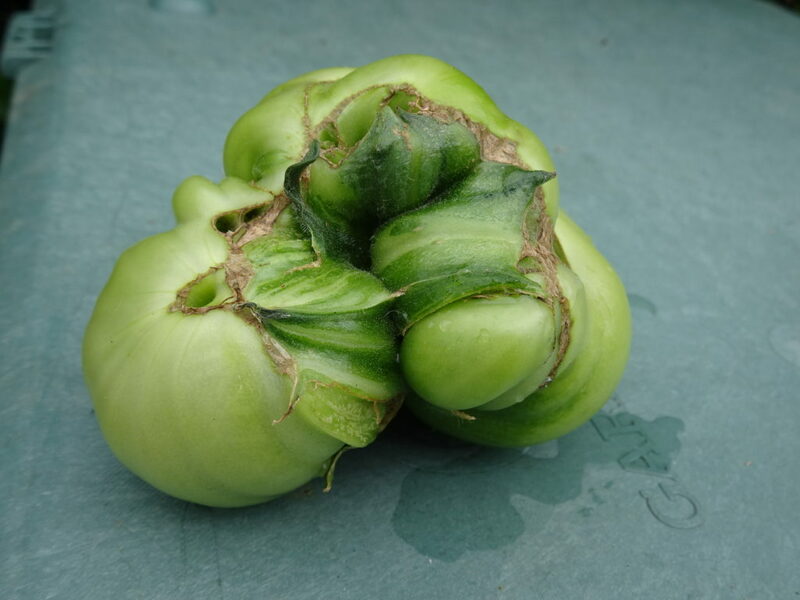 Misshapen tomatoes are a bane this summer and the rot is really setting in early . This is my first attempt at growing beef tomatoes. Did I chose a difficult variety with ‘Marmande’ which I now know is known for it’s different shape. After an early start my plants looked fine until sun shine caught me out. I needed to install greenhouse shading earlier but thought I could rectify and catch up OK. Many leaves curled turned brittle both for me and in my neighbors greenhouse. Water and feed was readily available but not in the right way to avoid problems. I will settle for fewer plants and cull the worst culprits. I have increased the feed and seaweed nutrients. At the end of the season I will consider not growing these tomatoes again. Our local show has a category for misshaped vegetables – will this fruit be according to classification. Too little calcium is the normal reason for this problem shown below. The strange weather may have contributed this year. Planting out in the cold will shock the plants and although they may live they wont thrive. Avoid impatience. 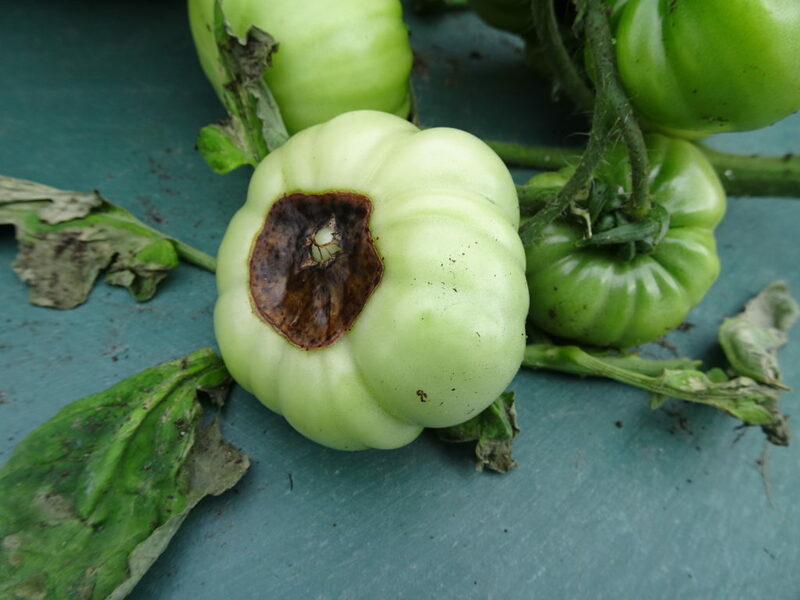 Inconsistent watering can create problems the most frequent being blossom end rot. Keep soil evenly moist. Ventilate well and water in the evening. Forgetting to pinch out side shoots on cordons cuts down on the size of crop. Tomatoes are heavy feeders – follow the instructions on a high potash, liquid feed. 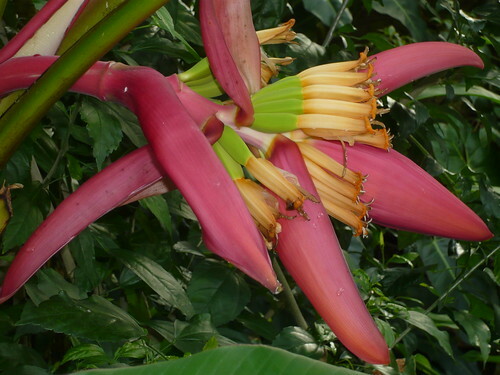 Poor pollination can be helped by gently tapping open flowers and misting the plants. Good, firm, mild flavoured Brussels Sprouts are a heavy yielding crop that only need a bit of care and consideration. Here are our top tips. F1 seeds will give the best results. It is a case of you get what you pay for. Cheap Brussels Sprouts seeds often lead to open pollinated varieties that fail to justify the time and space utilised. Firm almost packed soil is appreciated by Brussels Sprouts. Draw some soil up around 10″ of the stem in late summer to prevent wind rock or tie plants to a firm stake. Open loose soil encourages blown. ‘fluffy’ sprouts. Wet seasons can lead to foliage loss and leaf disease. Plant 12-18″ apart or wider on an open site to reduce the severity of infection. Water in summer if there is a drought. Where white blister and ringspot diseases are severe choose resistant varieties like Dimitri, Cronus, & Bosworth. This year I am trying Burbane and Rudolph from Kings seeds. 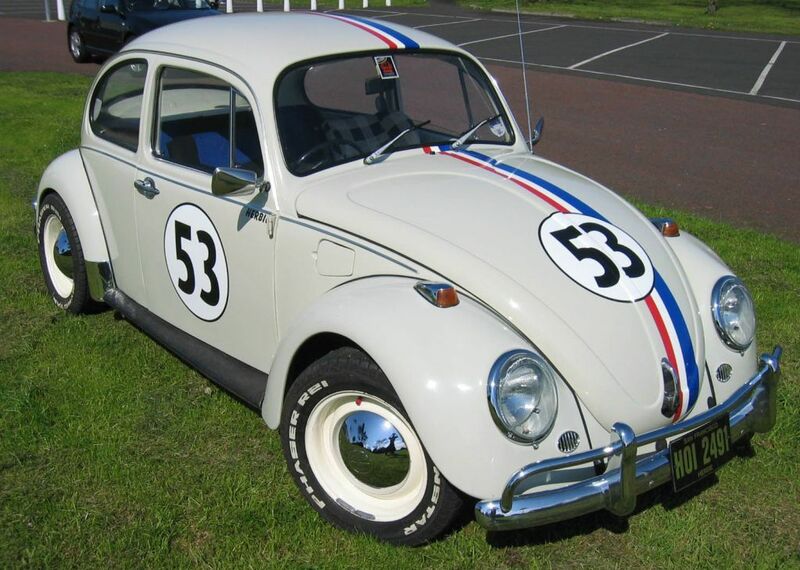 Whitefly, caterpillars and aphids can be a problem mid season. It is no fun if they get into the buttons. Cold weather cures these problems but failing that I treat plants with a mild insecticide. 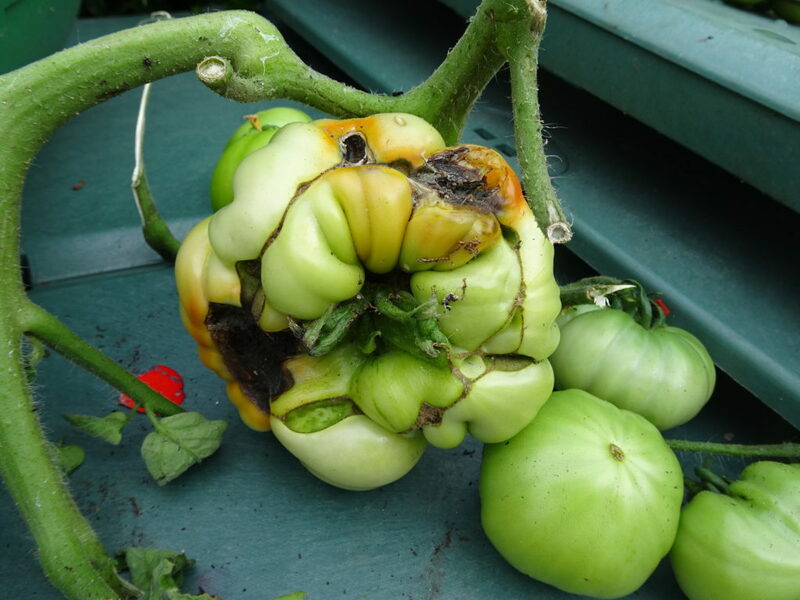 Yellow fungus infected rotting leaves can’t be treated with any garden approved fungicide. Pull off any affected leaves and bin them. 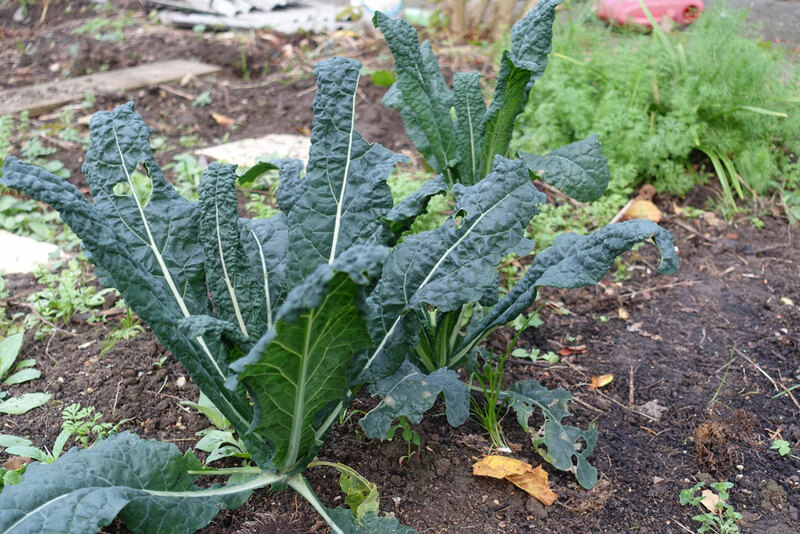 As with other brassicas their is a danger of club root that is best solved by crop rotation into fresh soil improving drainage and adding lime. 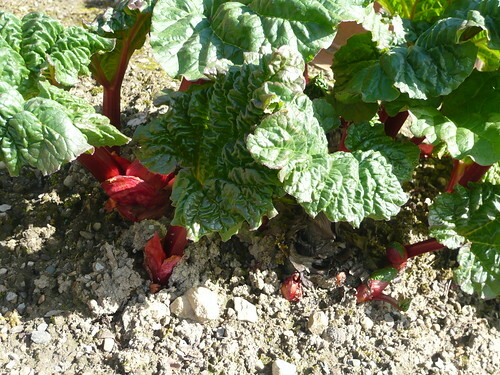 I have heard of planting the sprouts with a rhubarb leaf as a prophylactic. Frost can be both good and bad. Young plants need to be planted mid summer well after any frost but stalks can stand into winter and are sweeter if frosted first. Old sprouts can have an odor caused by compounds containing sulfur. This may be the cause of sprouts falling out of favour in some kitchens until new varieties were discovered. Top Eight F1 varieties include Brendan, Trafalgar, Crispus. Nautic, Bridget, Brodie, Maximus F1 and Hastings. Flower sprouts are the result of crossing a Brussels Sprout and curly Kale resulting in tasty small green and purple sprouts with curly leaves ideal for adding to stir fries. 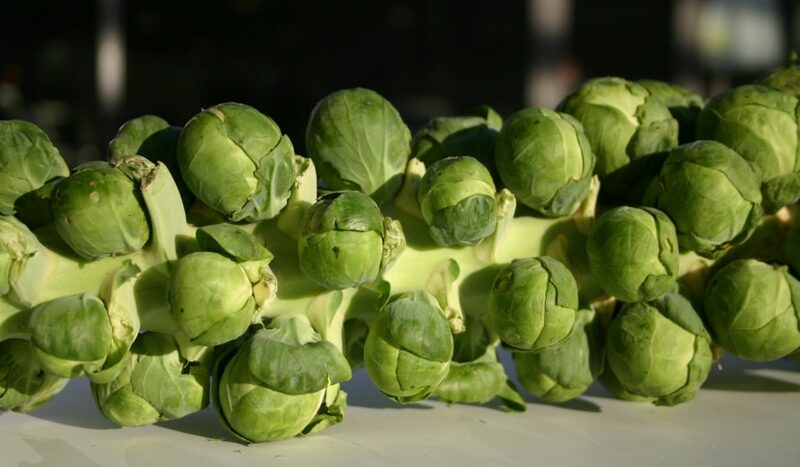 Older varieties of Brussels Sprouts have the best flavour, but it is the modern hybrids which have the ability to hold the small tight buttons for a long time on the stem. Red Brussels Sprouts deepen in colour as the weather gets colder. Red Bull produces medium sized buttons with an unusual nutty flavour. The colour reverts to green when cooking. Red Ball is hardy and has a long cropping season. Take the buttons from the bottom of the stalk first. Take off blown or flowering sprouts and any yellowing leaves as you go. Cut off the whole stalk and use the sprouts indoors as you need them. They keep better on the stalk. 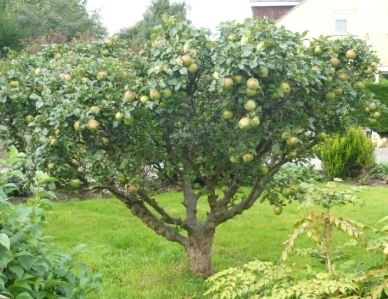 There are over 7000 different varieties of apple tree including those classed as eaters, cookers, crab or cider apples. 10% of these are available from RHS plant finder recommended nurseries. Your apple tree should last a long time and be fruitful and satisfying. It is worth taking care to get the selection right. The growth and size of your tree will depend to a large extent on the ‘rootstock’. The most common rootstocks are M27 5-6 feet tall, M26 8-12 feet tall and MM106 12-18 feet tall. Some varieties of apple in clay based soil may grow slightly quicker and larger than an apple planted on light, sandy or chalky soil. Most apple trees need another cultivar to pollinate their flowers and set fruit. It must flower at the same time. 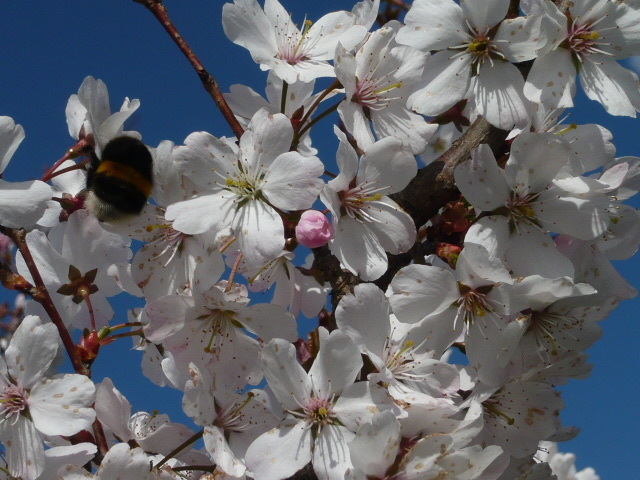 Triploid trees are very poor pollinators. Some varieties are more disease resistant than others. Seek out award of garden merit AGM varieties or discuss with a specialist nursery. 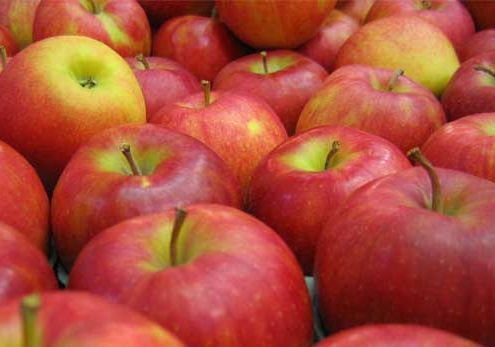 Warm country imports from supermarkets often have less flavour than your home grown apples. Autumn apple days are held around the country and can offer a wealth of local advice. Sample tasting may be possible or you can select trusted well known favourites. How you want to grow your tree can affect the selection. A trained espalier tree or cordon grown on a slant, a ballerina tree grown in a large pot or a ‘step over hedge’ tree are currently popular in designer gardens. The choice is yours but plan now for planting later this autumn. Two year old trees will cost more but crop sooner than maidens. 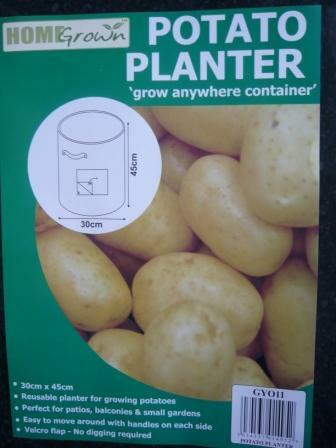 This £1 packet of supermarket potato tubers have just been harvested to cook as new potatoes tonight. 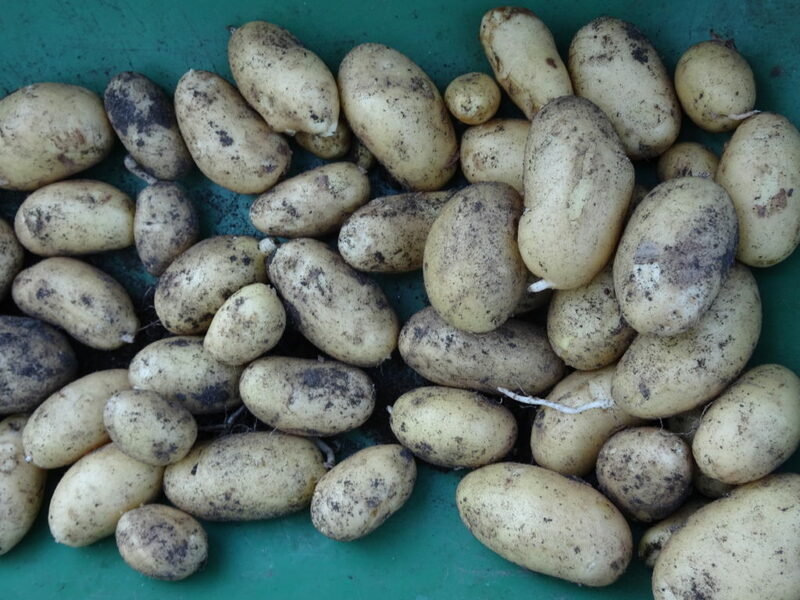 The variety was Charlotte, they were chitted in February and planted out in a frost shelter in March. The results were better than usual in that they didn’t ‘go into the water’ when boiled. The potatoes were quite waxy, tasty and good value considering the price I paid. I used an old waterbutt rather than these special gro’bags see below. They had let me down in the past as I think they do not hold enough moisture. One advantage of both planters is that the ground stays clear and the space can now be used for other items. I am now going to try use these planters for some late Chrysanthemums that can be kept outside in summer but brought into the greenhouse for autumn.